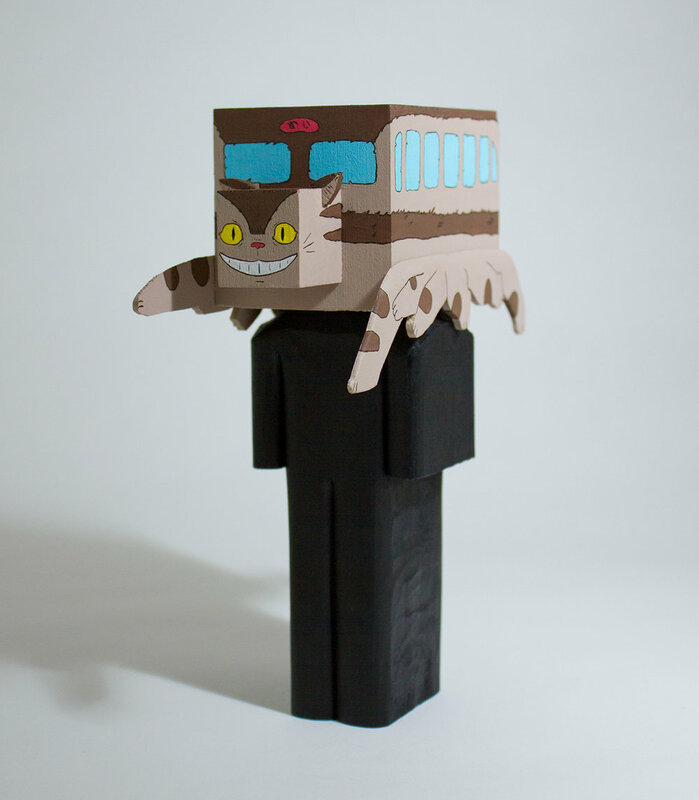 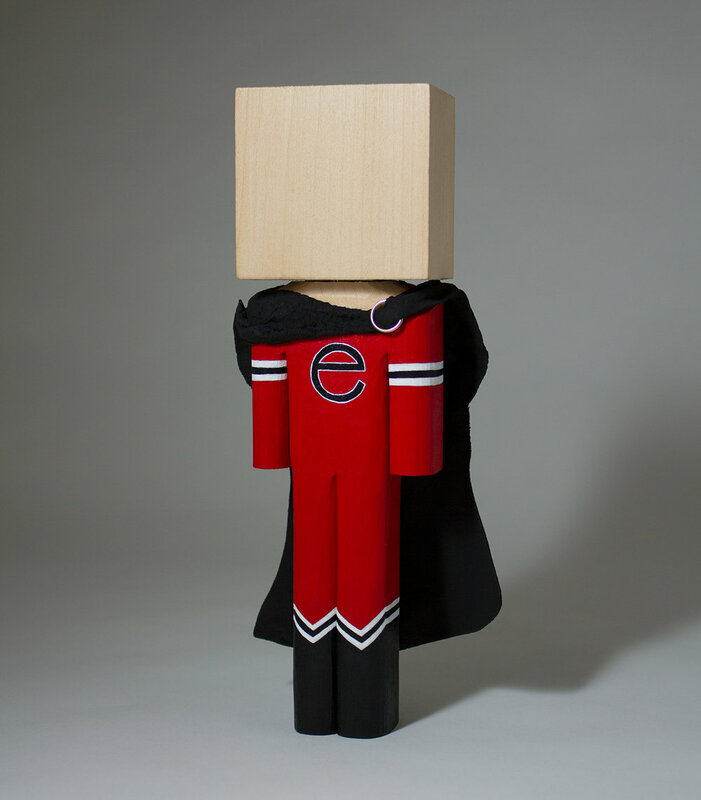 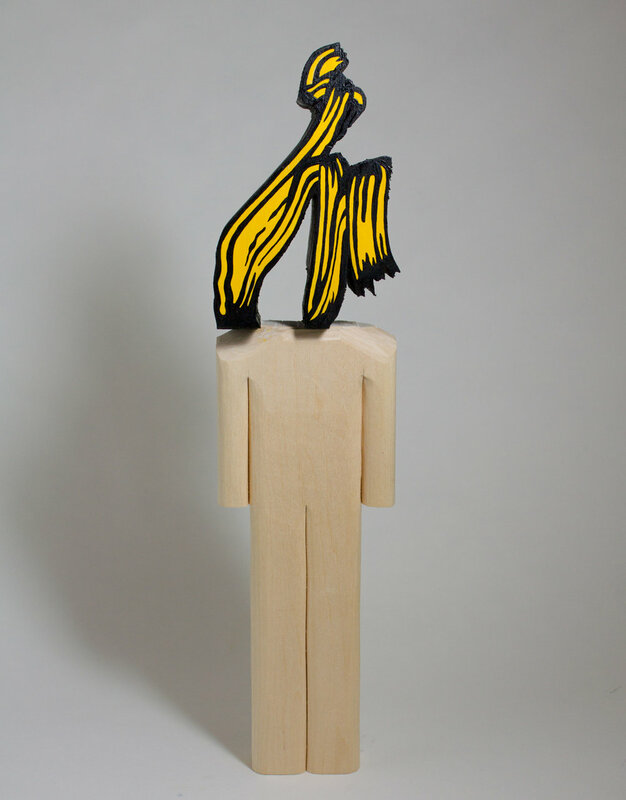 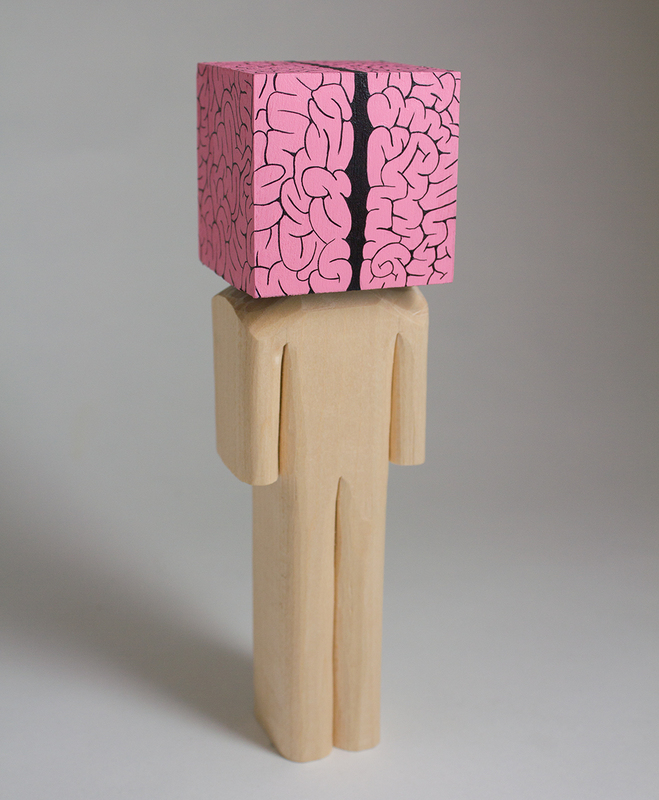 Blockhead is a pseudonym invented by Chris Skeene in 2011 as a way to explore the thriving free art scene in Atlanta. 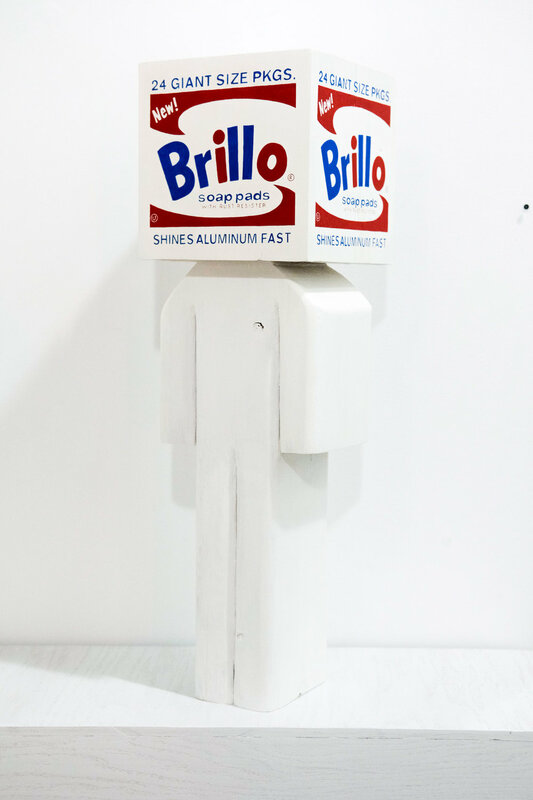 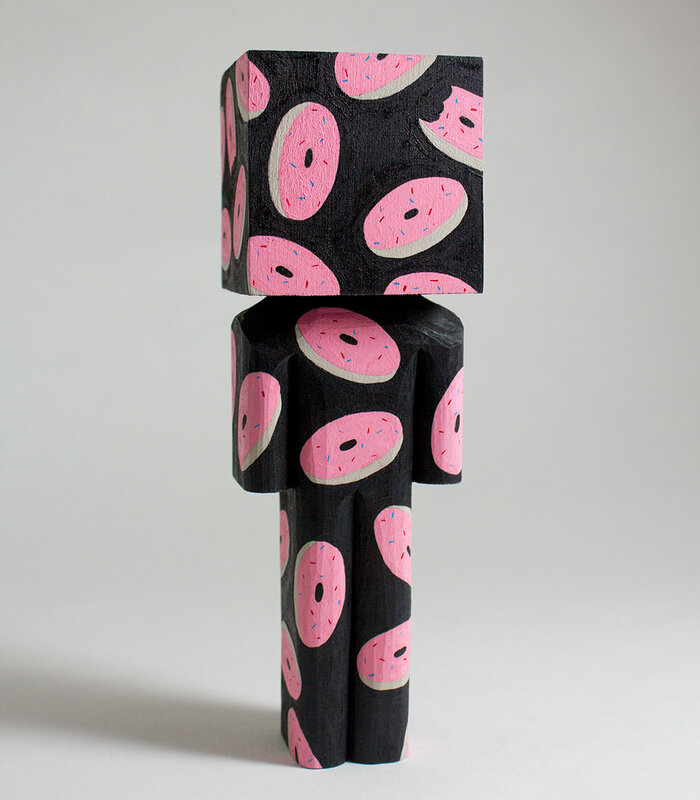 Inspired by his collection of Pez dispensers and blind box art toys (such as figures by be@rbrick or Kidrobot), Chris uses blockheads to bring variety to the repetition of a singular form. 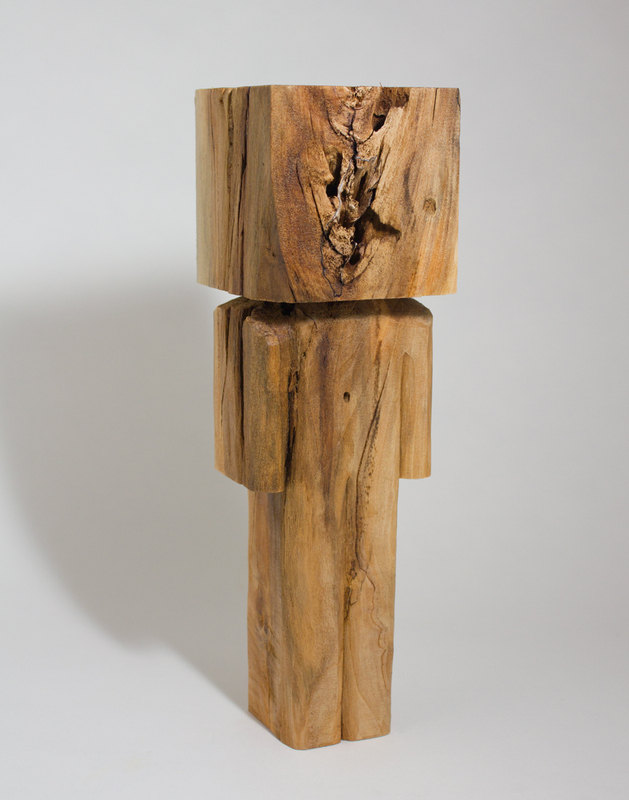 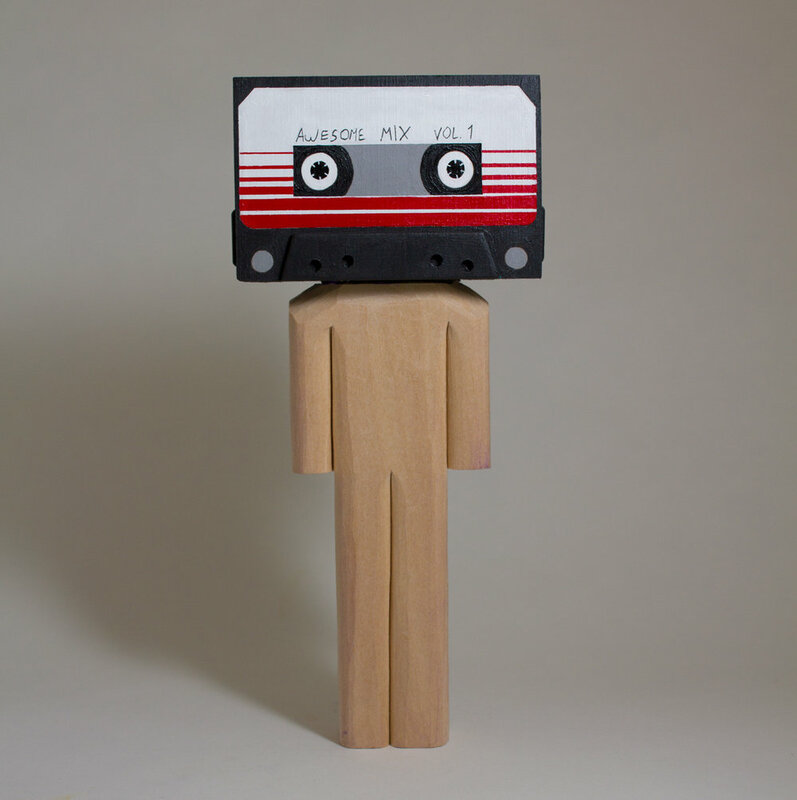 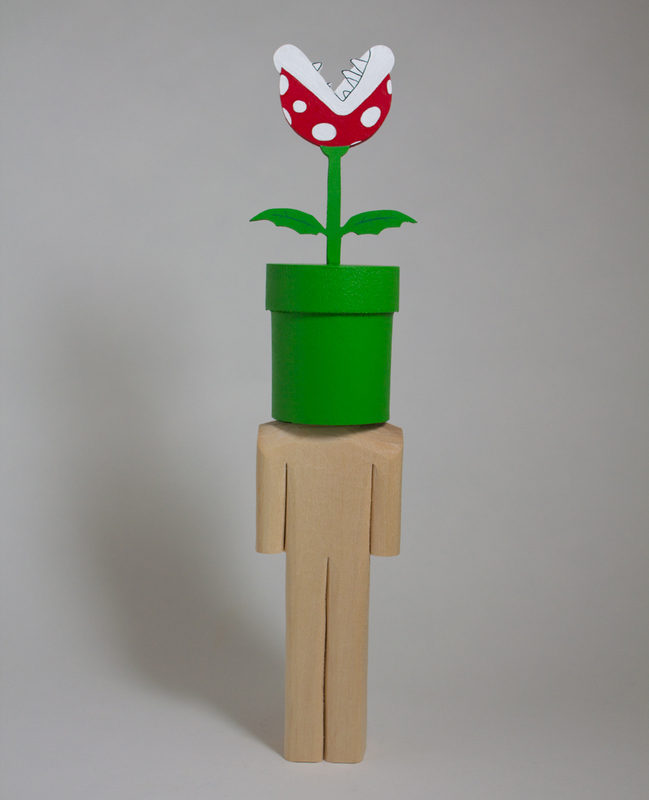 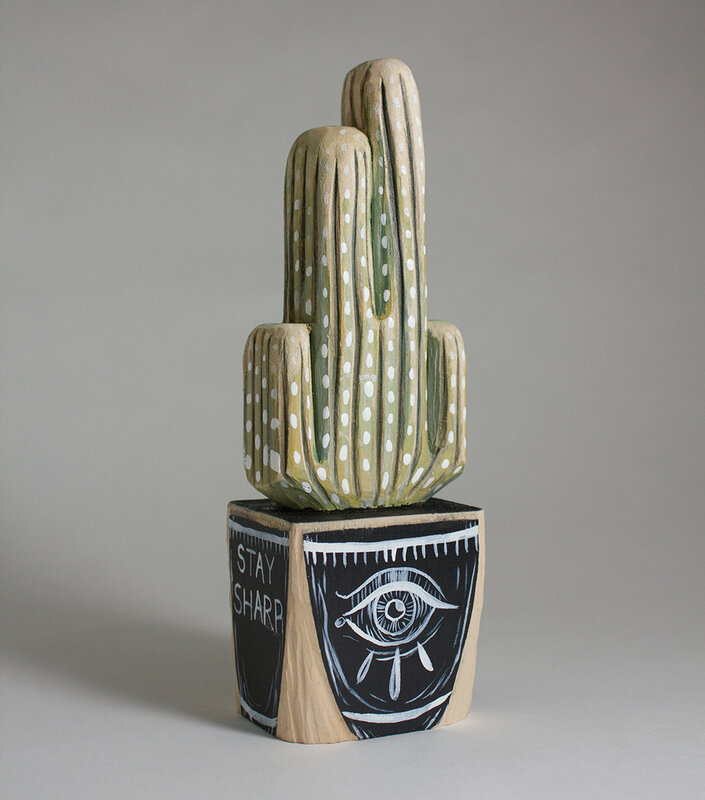 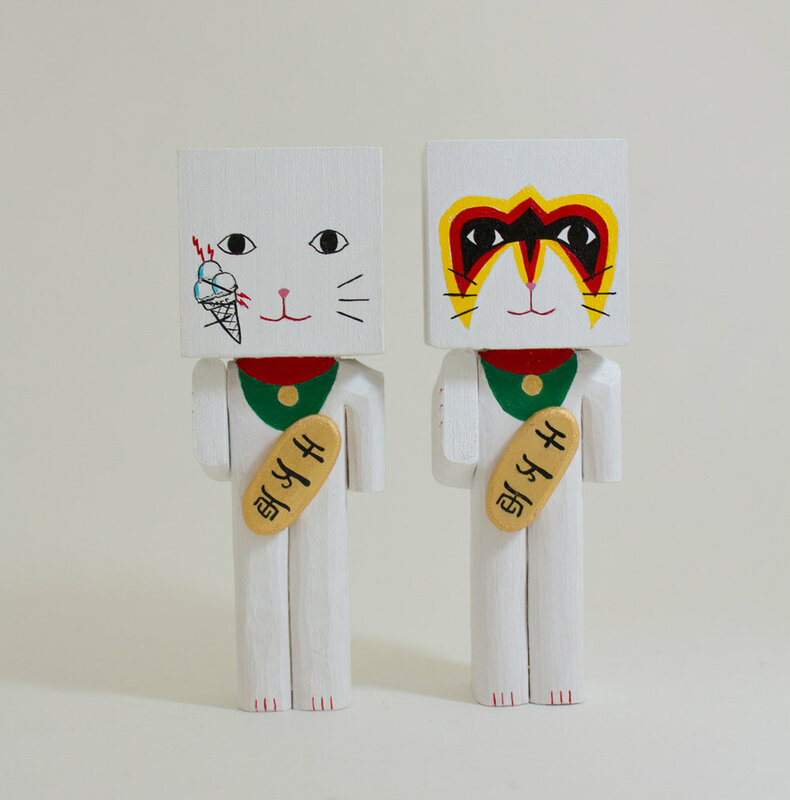 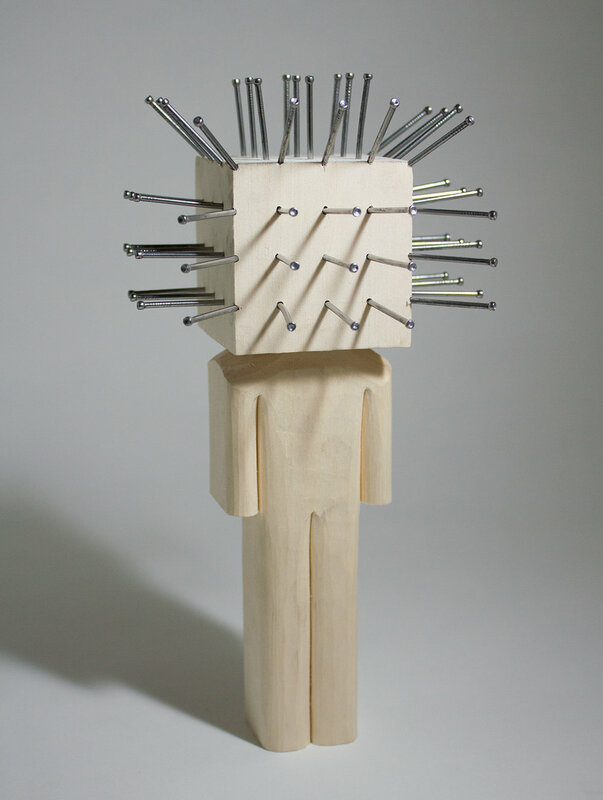 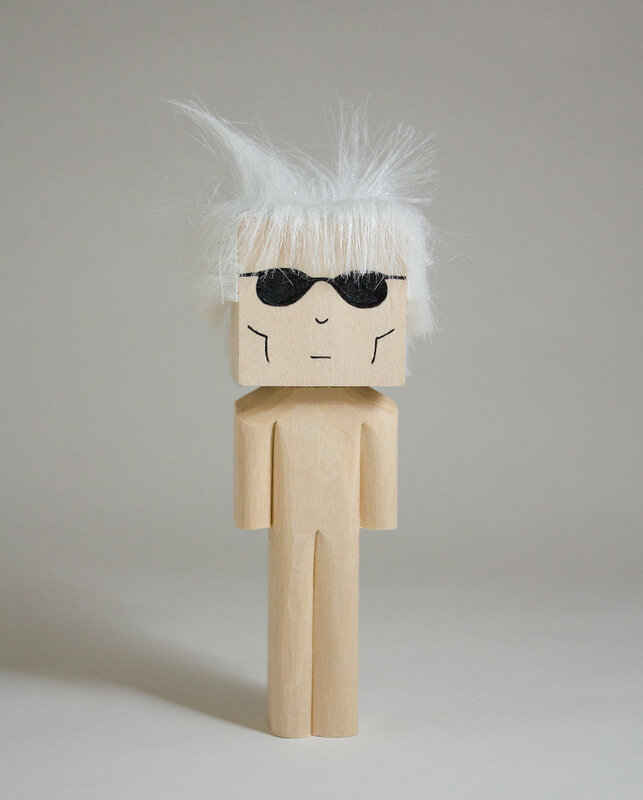 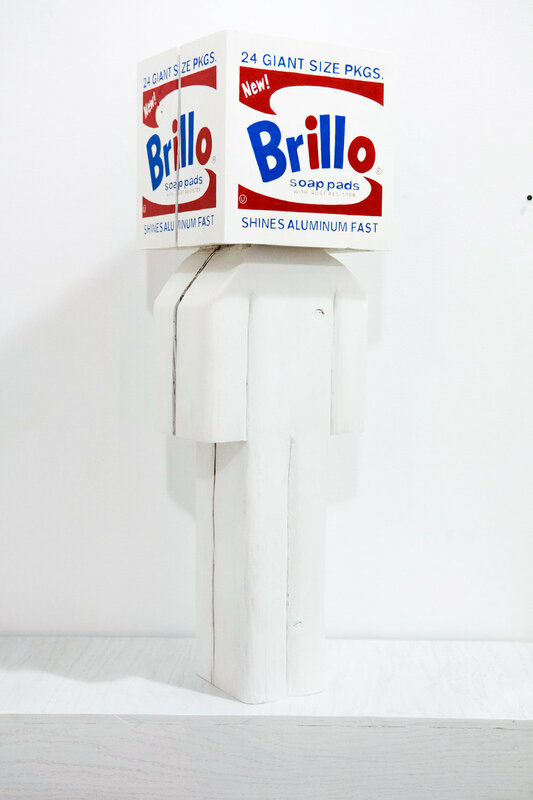 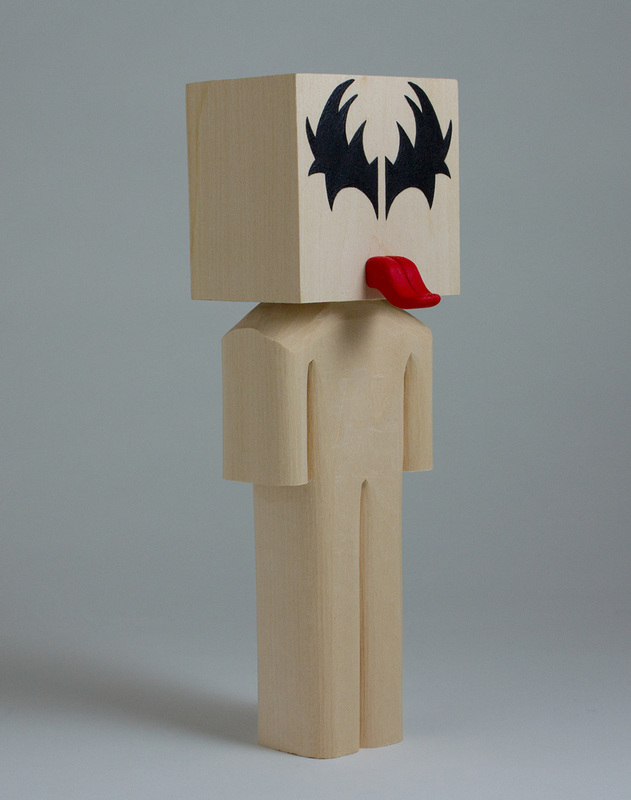 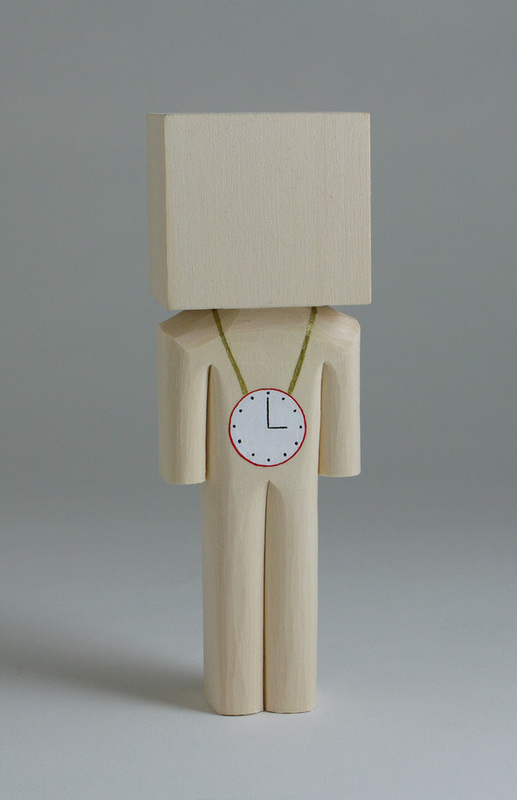 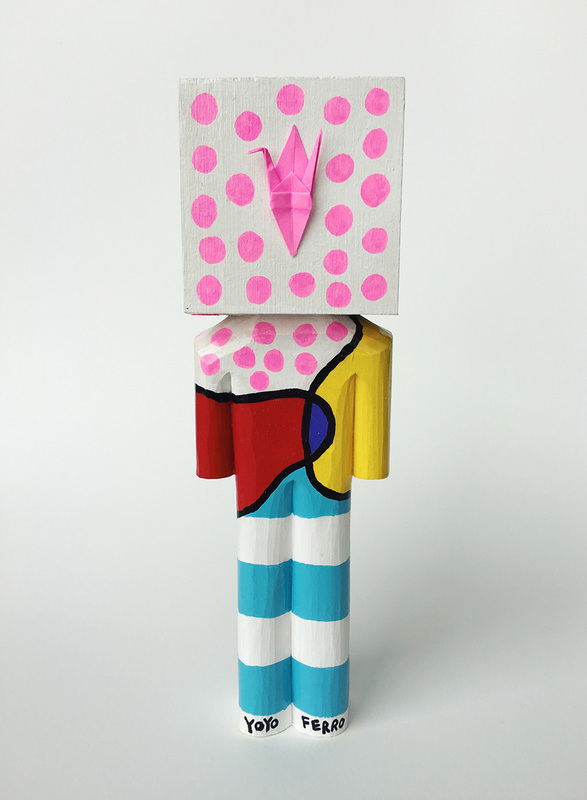 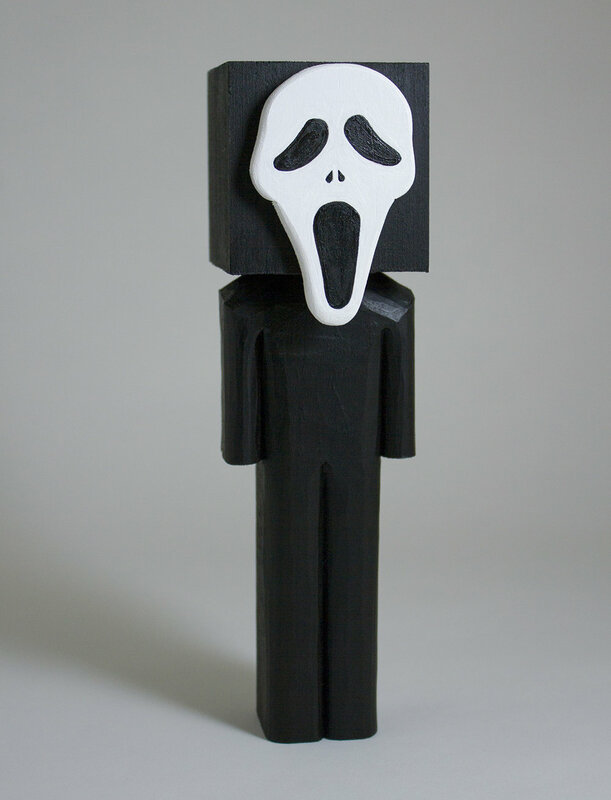 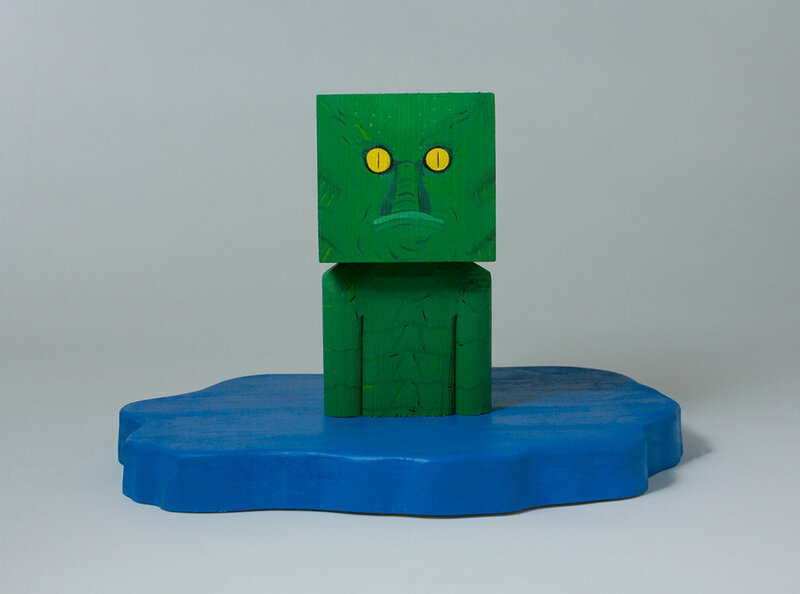 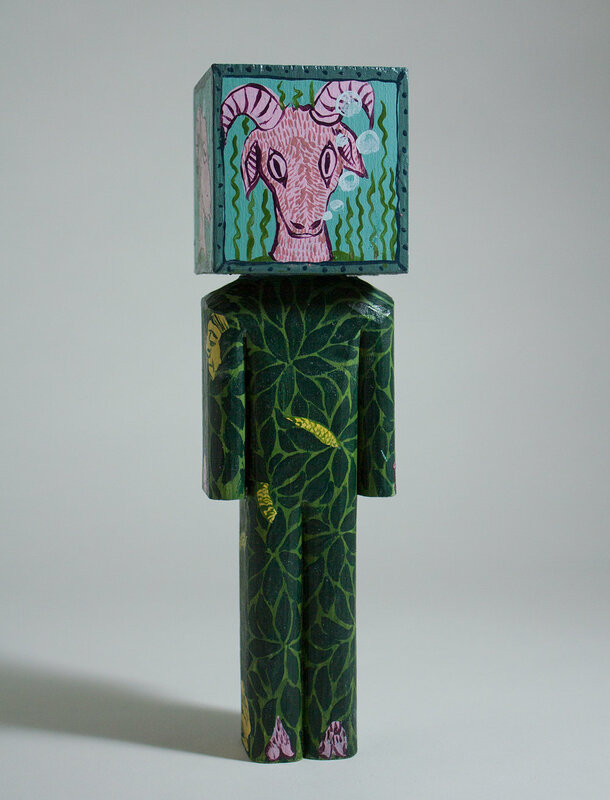 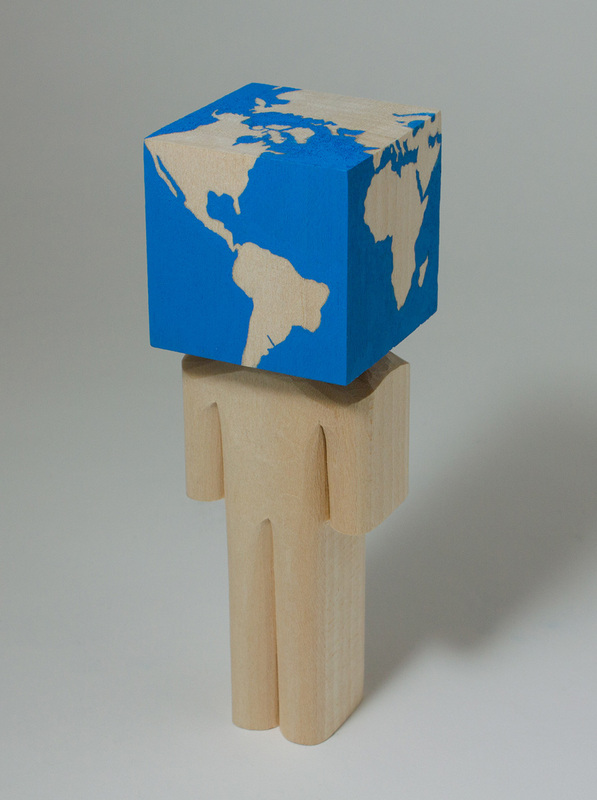 Though much of the inspiration for his work are from machine-made items, blockheads are each hand-carved and painted, thereby highlighting the individuality and uniqueness of each piece. 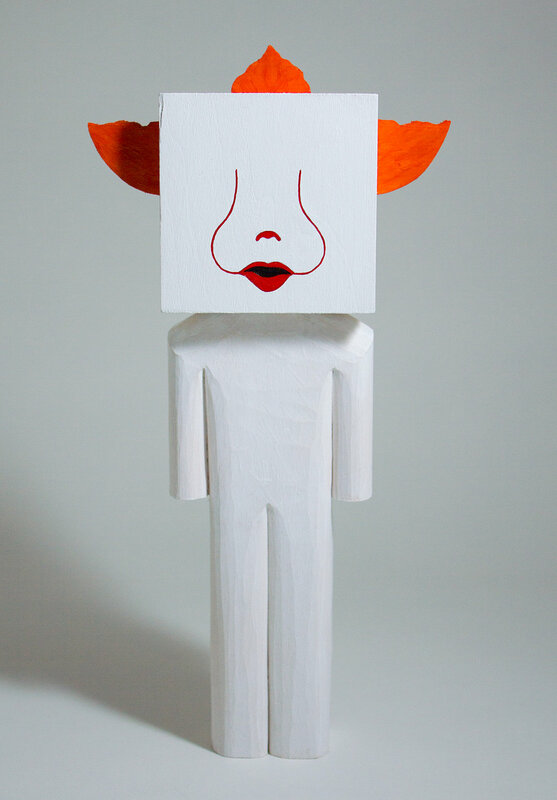 Chris also extends the unique nature of the figures by inviting collaborators to bring their own styles to the blank canvas of a carved blockhead. 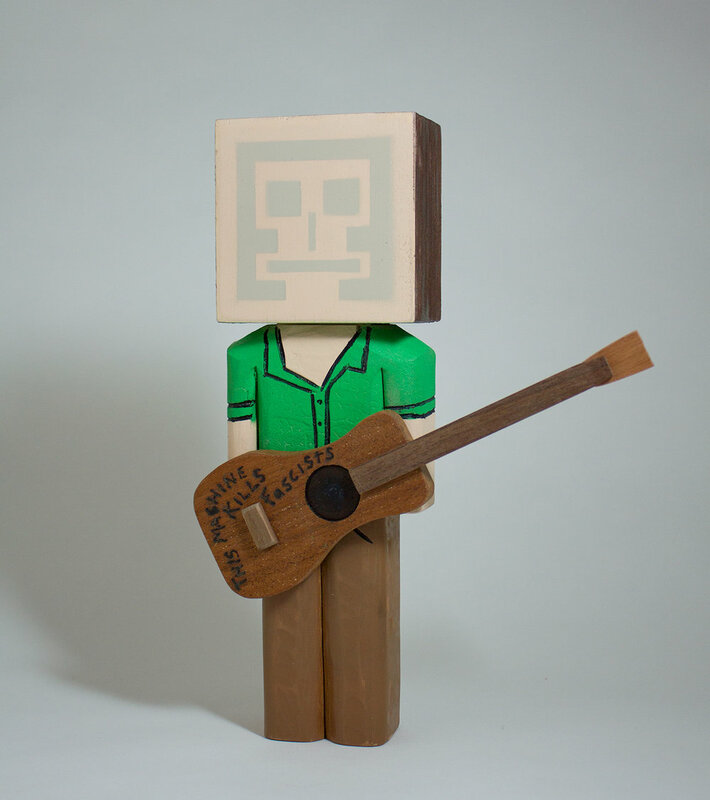 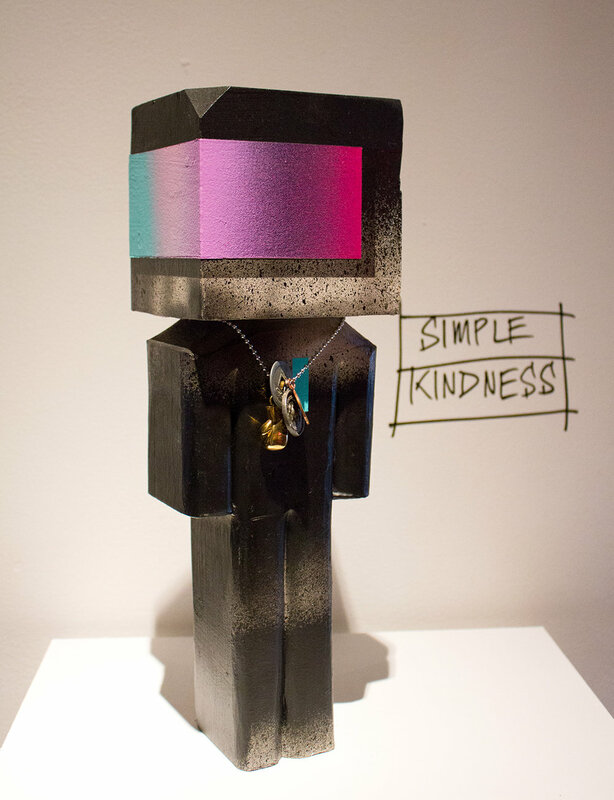 Chris believes that there are infinite possibilities when using a blockhead as a canvas and that most of those possibilities lie in the imaginations of others. 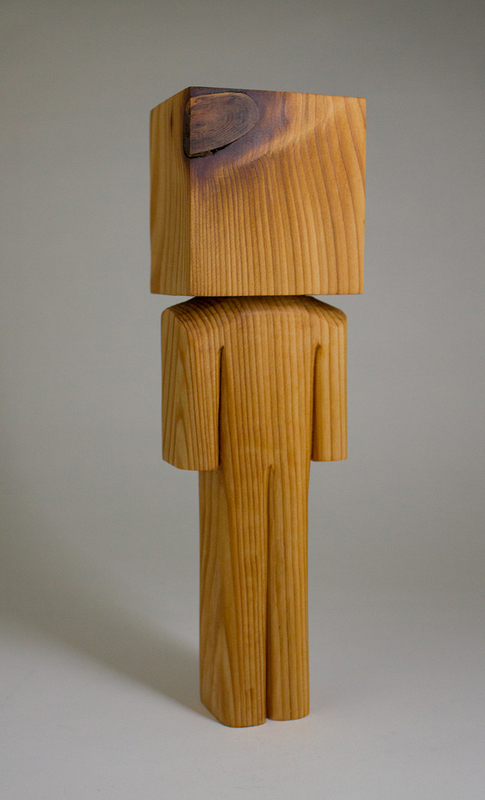 Chris was born in Irving, TX and spent most of his childhood in Lakeland, FL. 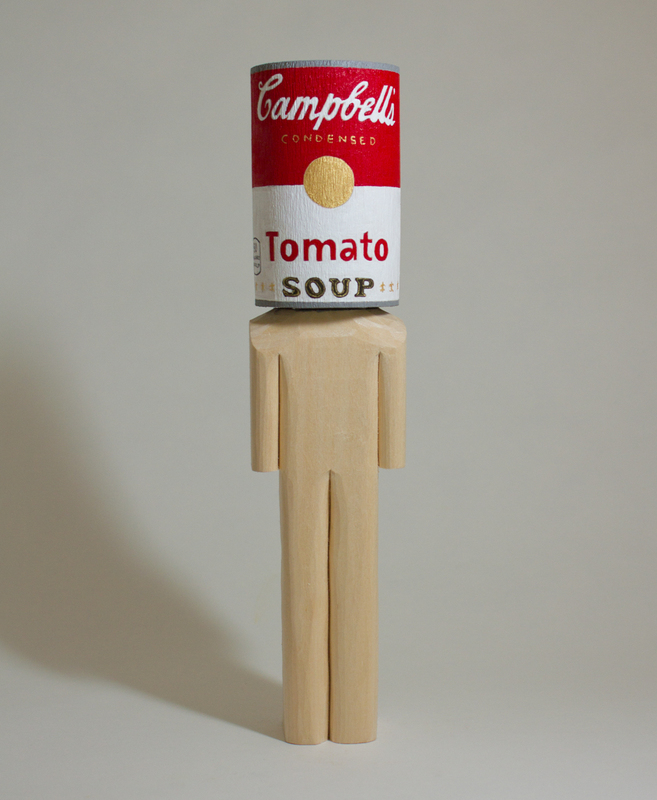 After pursuing and abandoning a business degree from the University of Florida, Chris graduated from Savannah College of Art and Design (’06) with a BFA in photography. 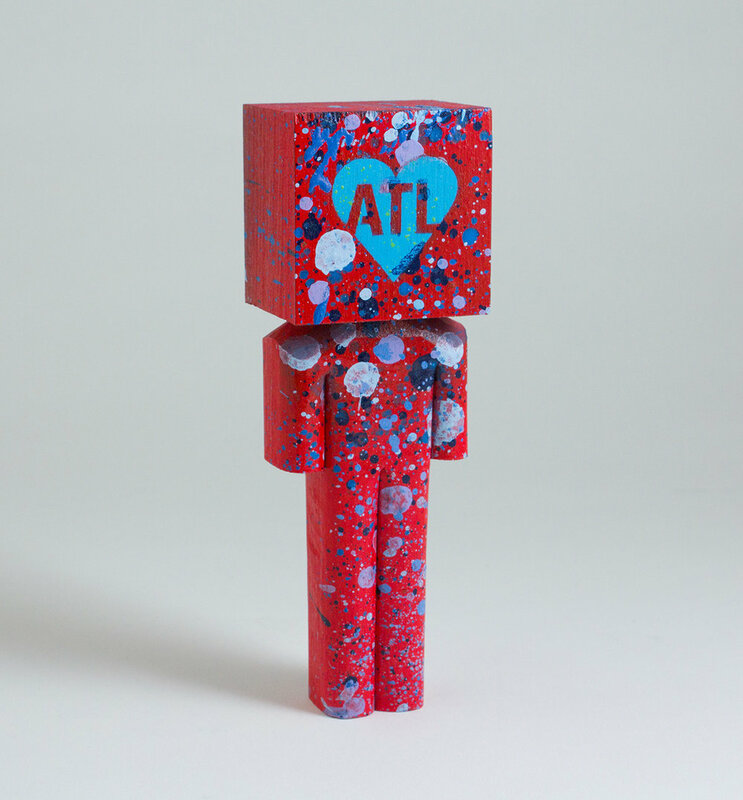 He moved to Atlanta, Georgia, in 2007, and immediately fell in love with the city. 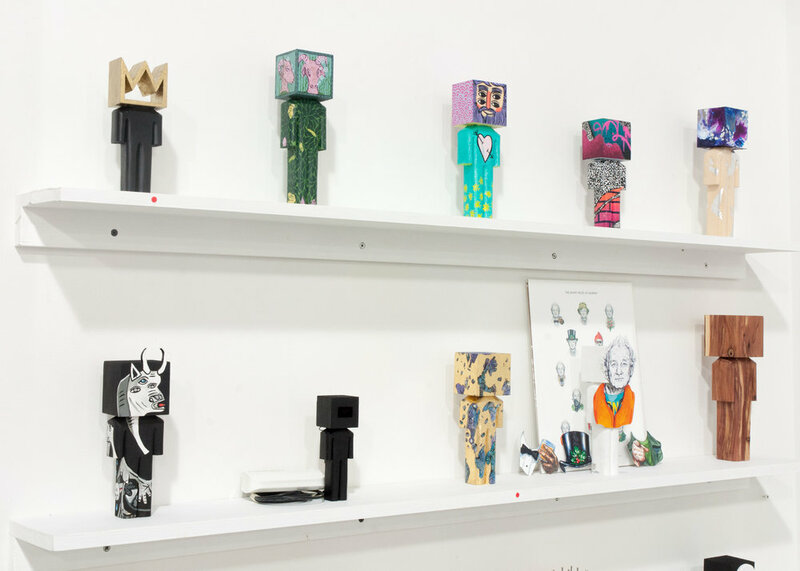 Chris’ works have been found on the streets of Atlanta, New York, Chicago, Bangkok, Paris, Los Angeles and many places in between.